With few exceptions, those practicing the sort of traditional jazz popularized in New Orleans and Chicago during the 20s and early 30s essentially believe and traffic in museum-grade preservation. They play for audiences living in time-travel fantasies, preferring to ignore the music made over the last 80 years as they seek Charleston partners. 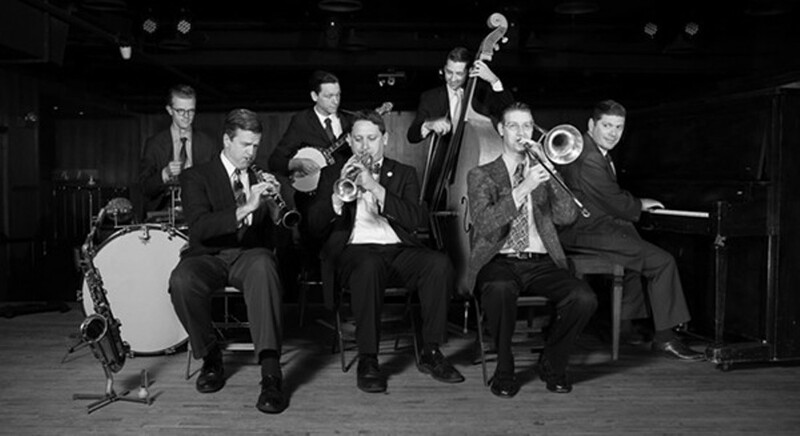 The members of Chicago’s Fat Babies might perform in shirtsleeves and neckties and meticulously record interpretations of the trad-jazz repertoire in glorious mono, but they also play music of other eras—whether it’s drummer Alex Hall working in the Flat Five or bassist Beau Sample storming through Jazz Manouche with Alfonso Ponticelli. The Fat Babies perform with such a vitality—never jacking up the pitch-perfect rhythm or playing postmodern games—that I don’t even see what they do as an act of reclamation. The ebullient polyphony and drive on their third album, Solid Gassuh (Delmark), is pure pleasure, a riot of motion and multilinear melody as banjoist Jake Sanders flails propulsive chords alongside the Baby Dodds-inspired rhythmic spill of Hall and Sample’s unerring pulse-and-harmony anchor. That leaves plenty of space for the raucous yet lyric playing of pianist Paul Asaro, reedists Jonathan Doyle and John Otto, trombonist Dave Bock, and cornetist Andy Schumm. While the occasional white-bread vocal might suggest a hokey costume party, there’s little to disrupt the spell these guys cast their long-running weekly residencies.